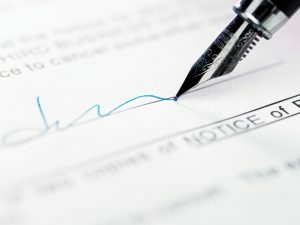 In a milestone move, contractors pollution liability (CPL) insurance is now specified in the 2013 edition of the “Standard General Conditions of the Construction Contract,” published jointly by the American Council of Engineering Companies, the American Society of Civil Engineers, and the National Society of Professional Engineers. CPL now joins workers compensation, general liability, and automobile liability as required insurance for the contractors working under this standardized procurement contract. I cannot help but wonder why it took the engineers, an unusually bright bunch of people, so long to correct for the effects of the longest exclusion in general liability insurance policies! Despite the delay in specifying CPL insurance in their standard procurement document, the engineers are way ahead of the game when compared to other insurance specifications that usually totally ignore the effect pollution exclusions will have on risk management strategies. Way on the top of my list of firms that have no appreciation for the effects of pollution exclusions is lenders that continue to generate antique insurance requirements in loan covenants. The engineers in their new “Standard General Conditions” model contract will cover for some of the lender’s risk management strategy shortfalls for contamination risks. Ignoring pollution exclusions in insurance designs always seems to come as a surprise to the stakeholders when losses are not covered. (See IRMI.com, “Contractual Risk Transfer for Contamination Risks,” January 2014.) There is really no reason for disappointment or surprises; pollution exclusions exclude pollution/contamination-related losses. It is a pretty simple concept. It only gets complicated when insurance buyers who chose not to buy the needed environmental insurance coverages try to figure out how to get around a pollution exclusion to get a contamination loss paid under a policy that contains a pollution/contamination exclusion. Getting losses arising from contamination paid is also simple: Buy a good quality environmental insurance policy and make sure your vendors have one, too. The engineers, it seems, figured these basic concepts out in 2013. ← Having Trouble Getting Paid For Category 3 Water Jobs?